Deep Silver has announced that Tequila Works' survival platformer which released first in 2012 for Xbox 360 will be out in a new edition on June 21 for PC, PS4 and Xbox One. Deadlight: Director's Cut comes with 1080p resolution, new animations and a new game mode: Survival Arena. Trailre and screens inside. Larkspur, Calif., March 21, 2016 – Face your fears, or face death in the newly announced Deadlight: Directors Cut from Deep Silver, launching this summer on consoles and PC. Deadlight, the iconic zombie experience rises once more, spreading its deadliest infection yet to PlayStation®4 computer entertainment system, Xbox One, the all-in-one games and entertainment system from Microsoft and PC. 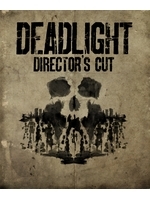 Created in collaboration between Tequila Works and Abstraction Games, Deadlight: Directors Cut will deliver the definitive Deadlight cinematic experience on June 21, 2016 for $19.99. Making its debut on PlayStation consoles, Deadlight: Directors Cut enhances the survival platformer on all systems in every way including: superior controls, new animations and full 1080p resolution. Featuring a brand new game mode, the ‘Survival Arena’ will be one of the toughest zombie challenges yet. Set in an apocalyptic 1986, Deadlight tells the tale of Randall Wayne, an introverted and slightly paranoid survivor trying to rejoin his family in a world torn apart by zombies. From the destroyed streets of Seattle, through the crumbled underbelly of the city’s sewers, and the remnants of a forgotten stadium, players search for the haven known as the ‘safe point.’ Through tense platforming and life-threatening zombie encounters, gamers must choose to use limited ammunition to decimate the undead or utilize the surroundings to sneak past them and hide. Combat isn’t always the answer, especially against those known as ‘shadows,’ the walking, undead remains of the human race.